Liverpool Biennial has announced the ten artists who will benefit from its Associate Artists Programme, a new initiative to support artists based in the north of England to develop their careers internationally. Ten artists have been selected for the Liverpool Biennial Associate Artists Programme, a new initiative aimed at enabling artists based in the north of England to develop their careers internationally. 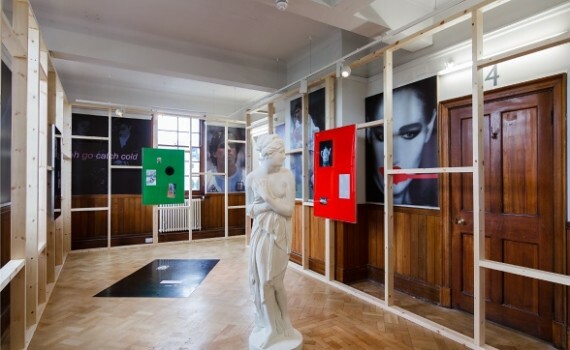 The £290,000 programme, which is supported by the Arts Council England international showcasing fund, will be run in partnership with New York-based Independent Curators International and Liverpool’s Cactus Gallery. Alongside an opportunity to work with leading international figures in the art world and to build international networks at biennials and art fairs, the ten selected artists will also get to showcase their work at Liverpool Biennial 2016, which opens in the city in July. The selected artists are: Simeon Barclay (Leeds); Jacqueline Bebb (Chester); Lindsey Bull (Manchester); Robert Carter & Lauren Velvick (Manchester); Nina Chua (Manchester); Matthew Crawley (Leeds); Frances Disley (Liverpool); Daniel Fogarty (Manchester); Harry Meadley (Leeds); and Stephen Sheehan (Birkenhead). Nick McDowell, international director at Arts Council England, added: “We’re keen to develop the growth of artists’ clusters and the conditions needed for them to forge successful careers with international critical acclaim while being based in cities across the north of England. Artists were selected for the programme from a shortlist of 40 who were nominated by curators and artists based in the UK. The final ten were chosen by a panel of selectors that included Tallant and also Chris Fitzpatrick, director, Kunstverein München, Munich; Francesco Manacorda, artistic director, Tate Liverpool; Rosalind Nashashibi, artist, Liverpool; Joe Fletcher Orr, artist and director, Cactus Gallery, Liverpool; Kitty Scott, curator of modern and contemporary art, Art Gallery of Ontario; Katharine Stout, head of programmes, ICA, London.